More than 100 witnesses signed up to testify before the House Public Education Committee Tuesday on a massive bill restructuring student testing, graduation requirements and the public school accountability system in the state. More than 100 witnesses signed up to testify before the House Public Education Committee Tuesday in a hearing on student testing and graduation requirements expected to go into the evening. Students, parents and educators overwhelmingly spoke in support of state Rep. Jimmie Don Aycock's House Bill 5, arguing that the current system forces teachers to teach to the test and stifles flexibility to provide career-orientated courses. "It is my opinion, and perhaps mine alone — I don't think so but maybe — that our present system is overemphasizing testing," said Aycock, the Killeen Republican who chairs the committee. "That it now interrupts more education than it benefits." He said his legislation would reduce the number of state-mandated exams and restructure the state’s accountability system and high school graduation plans. It would remove the requirement that high school students must achieve a certain cumulative score across 15 end-of-course exams, and reduce the number of state exams to five — in reading, writing, biology, Algebra I and U.S. history. It would also expand the graduation plans available for students, allowing them to earn "endorsements" with focuses on areas of study like humanities, science, engineering, technology and math, or business and industry. “They tell us how important these tests are to our future, but they’re not preparing us for life after high school,” said Vance Vaughn, a sophomore at Missouri City's Ridge Point High School and one of several students who testified at the hearing. “Not everyone needs to take four years of math. I bet many of you did not take four years of math, and you did pretty well,” he told committee members. While Aycock's proposal earned widespread support from members of the education community, reaction from business leaders who testified at the hearing was mixed. Hector Rivero, the president of the Texas Chemical Council, praised the proposal, saying it made important changes that removed barriers for young adults to enter the workforce. "If they can pee in a cup and pass that test, and go on to junior college, then they’ve got some high-paying jobs waiting for them,” he said. 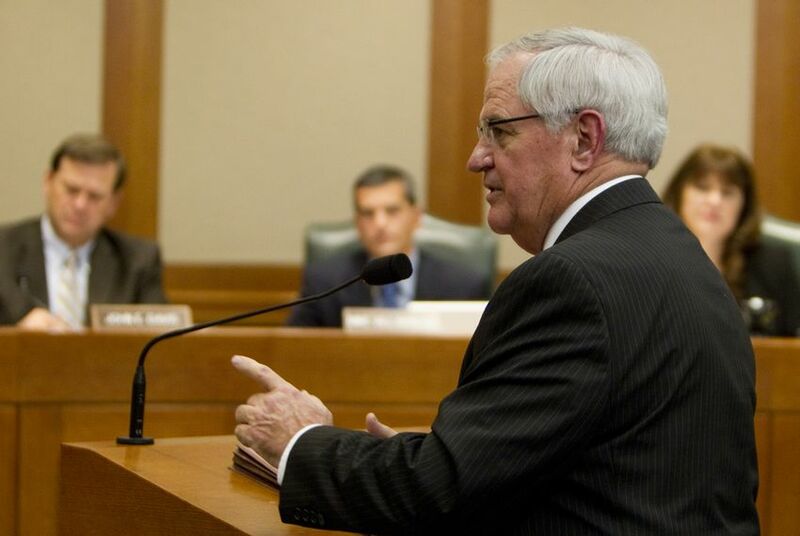 But Bill Hammond, the president of the Texas Association of Business, told the committee that he opposed the bill because he thought it retreated from hard-won victories. He said there should be a "quality control plan" for public schools to ensure passing grades actually mean something. When asked by state Rep. Mike Villarreal, D-San Antonio, why the past regimes of high stakes tests have not resulted in better college ready rates for Texas students, Hammond said that was because it was "the wrong kind of testing." "The high-stakes testing that we've had up until now has been at an eighth grade level to graduate from high school," he said. "That's exacerbated the problem because it hasn't gotten the kids career or college ready."